It was redone from scratch. It's now a big list, instead of being separated by categories. It's still ordered and labeled, and reading logs is a lot more intuitive. Just 1 button to display the (sometimes scrolling) text, that's it. 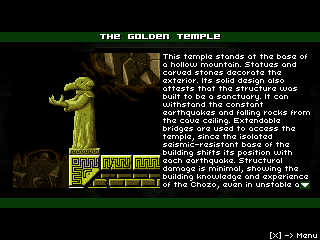 The log pictures are bigger, and each entry can feature multiple images, as the text updates. 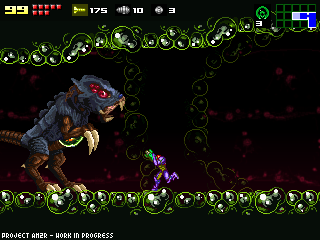 Some of the cooler ones (Metroids and Minibosses) might end up featuring original concept art in these images. It's a minor detail overall, but it improves the way the story is presented, for those who take the time to read it. Zetas are being balanced for normal mode now (they were extremely frustrating, but some features will be kept for Hard mode), and some frames of animation are being added to some of their attacks (well, to some of their bodyparts). They still need more testing, since there are still some very convoluted and risky ways of tanking them. Omegas will receive the same animation engine overhaul the Zetas did. Luckily they are much heavier, less agile, and easier to animate, compared to Zetas. Not much progress here. The map, scripted events and Metroid battles are in place, still being tested and polished. The area is being redone, both to house the new item that will be found there and its corresponding puzzles, and also to allow some area specific mechanics to be implemented. I don't want to spoil the surprise of the first time playing the areas, but I can say it's going to be as unique as the other areas, gameplay wise. Right now the layout is planned, and basic rooms are going to be added to connect existing rooms from the old layout and new ones. When I had my recording studio, some of my customers were media producers. They always complained that the sound design and music production were left for last, to be done at the last moment and in a rush. I kinda feel guilty of doing that myself nowadays. There's been a little bit of everything going on lately. Sometimes I struggle to find time and energy to work on this, but every little bit of progress counts. Happy coding! You are always in my RSS feed for years! reguarding Music, have a look at http://smproject.ocremix.org/index.html maybe it inspires you, perhaps the creators let you use parts of it - who knows? Any progress is better than none, or worse, giving up. You're almost there, Doc! Everything sounds awesome so far. I've been following you since before your first demo I'm so happy with everything you've done. One thing to suggest to your scrolling text. I'd recommend adding a button in the log book that speeds up the text only while the button is pressed. I'm a very fast reader and in some games I get slightly annoyed when I read to the bottom and have to wait for the new text to creep up. Sometimes, I even want to not read the updates, because I get hyped all over again and can barely contain my excitement. I can't wait for the full game, whenever it does come. Sounds good. I didn't really mind the old logbook. But the new design and mechanics sound like they are going to be pretty smooth. Some original concept art would be pretty cool and give a little more of that professional feel to the game. Cant wait to see the finished game! Keep going man! I live and die by your posts of progress! I want to play the content you have been working on so bad. Please from one die hard metroid fan to another keep going! I replay what you have released over and over and check your web page everyday. looks great. I also wanted to mention something. In the Pump station area, I noticed something some things could be improved. The water pump could stand to have its effects improved as well as the water effect there. The pipe that you travel through also seems rather poor quality-wise compared to the rest of the ingame textures and environment. Nothing huge, just thought I would point it out. Also the dark jungle area near the Super missile statue could be brightened a tad, the darkness seems to make it a little difficult to navigate it or fight metriods. Maybe add a Night vision ability you can find like Super metriods Xray visor. Also the Spider ball could use a bit better of an effect I think, help give it a bit more flash. can't wait to play the next build of AM2R, keep up the good work! I know a comment from a random person on the internet can only mean so much, but I sincerely appreciate your work. Ever since I first tried Metroid I was instantly hooked on the series, and consumed every bit of Metroid content I could possibly get my hands on. With Nintendo not having made a true Metroid title for over 7 years now, I have been hurting for a new Metroid game to play, and your game delivers in spades. I think it's better than Zero Mission, in fact. Thank you so much for making this, I hope to be able to play the complete game someday. It must be a lot of work but know that people out there are enjoying your game every bit as much as an official Nintendo Metroid game. Indeed every step of progress does count and I'm glad to see that you've put even more work into the Logbook for players who likes to delve deeper, it's the little things like these are appreciated overall! Hey mister, thank you for this project! i really enjoy the 1.34 demo, im waiting to end this beauty! I'm waiting so much the next 2 areas of the game! 2. Instead of aim-lock, enemy-lock, where Samus will always face the enemy that she is locked onto. PLEASE try not releasing too big, meaning too popular, in the recent months remakes have been shut down by Nintendo. be careful because I have been waiting for so long for this release:) been following for years now. thank you so much for all your hard work. I just found this project about a week ago, and I am very impressed at the quality. Though I am not as familiar with Metroid 2 as I am the other 2d ones, I can say that this is the remake that we should have gotten 10 or so years ago. The only problem I have is that I want to share it with people, but game companies have been coming down hard on fan made projects. I would hate to see this one get axed, but I think it's worth sharing nonetheless. Here is hoping the project will be finished one of these days. Ahh man this is getting awesome. Can't wait to see the final result. Actually really excited! I love your work, Doc ! 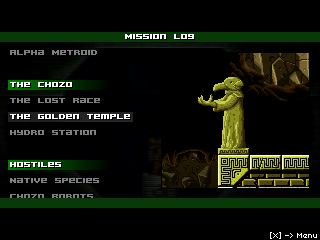 You can't imagine how happy I am to play a true metroid game after years of waiting for a nintendo release. Thank you for this project, game is just awesome! Dude we can thank you enough. Gracias por tu esfuezo amigo. I just played the demo for the first time.... Holy crap. Nintendo needs to hire you. This is amazing. It is better than any metroidvania I have played and the production value is insane, despite the fact that there IS no production value! Just keep up the amazing work. I would literally pay full price for the final product. I get the feeling that you'll never be satisfied enough to consider finalizing the game, and that you're destined to do this forever. Still, I'm waiting for the day this game is complete! This is amazing! I can't believe I just found it. One of the best fan games Iv'e ever played. You are an awesome person. Started playing this as I wanted to play the Metroid games in the series that I haven't played yet (Metroid II and currently playing through Super Metroid on the Wii U) and safe to say this is amazing. Looking forward to future updates! Update del progreso de abril? por favor? For video games sound and music is extremely important, it's way often the music that will help a game being remembered for decades (if not centuries to come). This latest demo is nothing short of amazing. I have to give you a heartfelt thank you for allowing me to enjoy such a masterful recreation of a game from my childhood. Keep up the good work. And also: Nintendo, you REALLY need to hire this team!